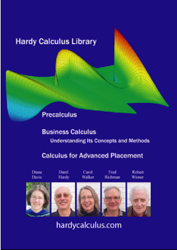 The books Precalculus, AP Calculus, and Business Calculus have a very similar structure to Calculus: Understanding Its Concepts and Methods. 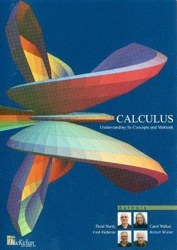 We illustrate the structure of all four books with screen shots from Calculus: Understanding Its Concepts and Methods. To see one of these books in action, try Calculus Demo or Library Demo. These pages send you to download a free 30-day version of Scientic Notebook 5.5, if you do not already have this installed on your computer, then let you read a couple of selected chapters in the chosen book.